Just Jingle: Have Yourself a Merry Little Christmas! 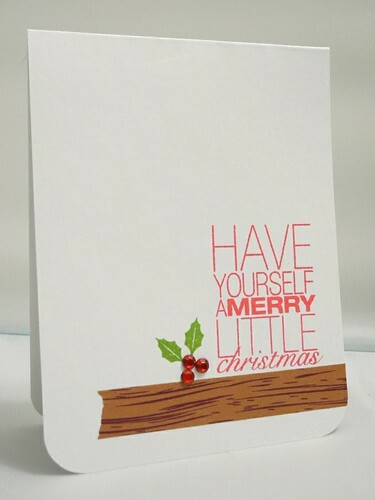 Just a quick post today with a quick Christmas card. This was another that I created in multiples, but I switched the sentiment stamp out so there were three different varieties. It's a fun little design! These were a lot of fun to create! 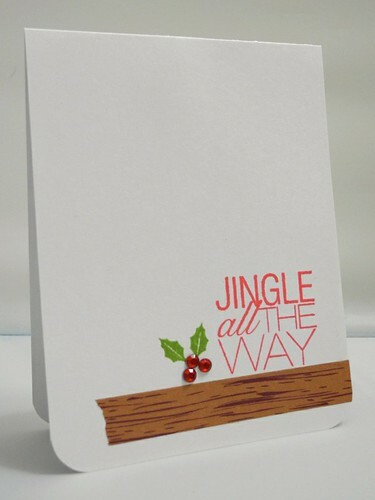 I LOVE this stamp set (Jingle All The Way) from Technique Tuesday! It's officially my favorite holiday stamp set! LOVE IT! And now...I wish you a very Happy Christmas!!! awesome cards...very sweet...love the washi. Thank you for sharing your cards, love them. love the washi tape and hte cas look! All three of them are just fab! These are fabulous! Wishing you and yours a very Merry Christmas and the best in 2013! Hey, I got one of those! :) This stamp set was totally made for you! Have a great Christmas!!! LURVE these cards Miss Lady!!! Merry Christmas!!! 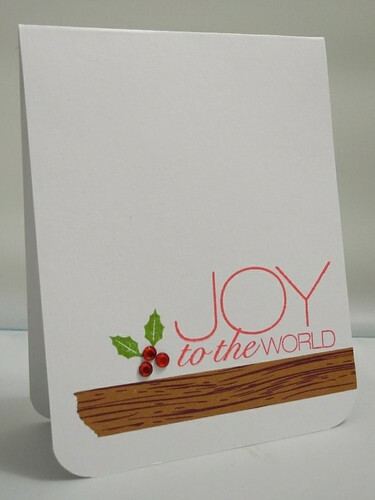 Amazing cards and just wanted to wish you a very Merry Christmas, too!!! love this style!! so simple and crisp looking!! Really cute card. I love that woodgrain tape. That would be very versatile. Sweet, you have made me a fan of that great woodgrain tape!! !